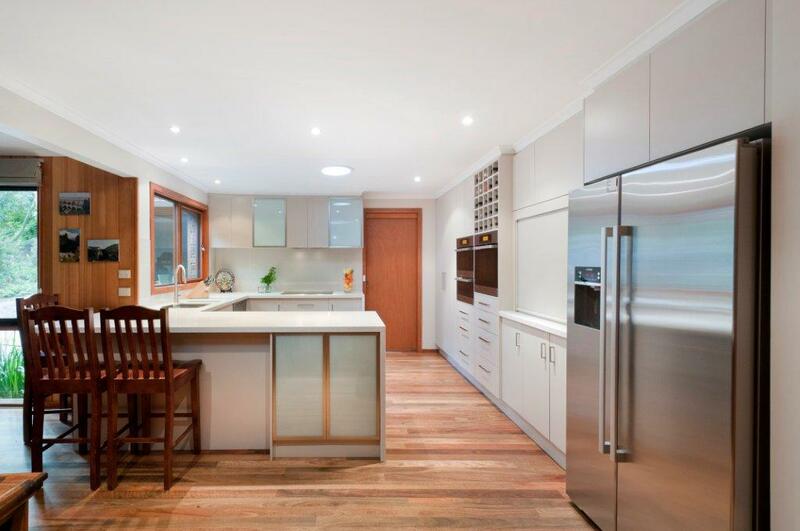 Since 2000 we have been doing quality kitchen renovations in Melbourne, Victoria. With a friendly, skilled team, we are able to offer kitchen solutions that meet your budget and surpass your expectations. Arrange an onsite consultation today with a company you can trust. Every kitchen tells a story of the family that lives there. A well-designed kitchen fits the family like a glove. It reflects their interests, their cooking preferences, their lifestyle and life-stage. Families with toddlers have different kitchen needs to retirees. Families who love to entertain have different needs to busy families who just want the basics sorted. Families who love the latest in kitchen gadgets are different to families who have tried and tested kitchen essentials that they love. Families with mobility issues need kitchens where everything is in easy reach and appliances can be operated safely. BLK Designs understands! Our designers and kitchen installers have been creating family kitchens for over 20 years. Shane Taylor, BLK’s owner, is a qualified and registered builder, which means that not only can you get your new kitchen installed, you can have walls moved to widen your new kitchen, windows replaced or sliding doors installed into your Al Fresco area at the same time – saving you time and hassle. We help make the process easy so you achieve the kitchen of your dreams on time and on budget, with the minimum hassle. Looking to have your kitchen renovation dreams come to life?